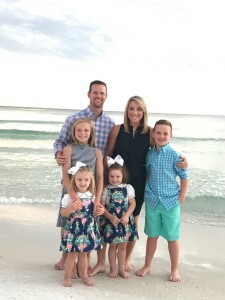 Dr. Cason Shirley received his undergraduate degree with a major in Biology and a minor in Chemistry from Lipscomb University in Nashville in 2004. He received his Doctorate with Highest Honors from the University of Tennessee Health Science Center in 2008 and completed his orthopedic residency at the Campbell Clinic in Memphis in 2013. Dr. Shirley’s care focuses on joint replacements and sports medicine. Dr. Shirley and his family were drawn to Columbia for multiple reasons, but primarily due to the fact that he was raised in Middle Tennessee. The opportunity to move back to the Middle Tennessee area and be an active part of the community in Columbia was very appealing to him and his family. Dr. Shirley also credits the family-type atmosphere at the clinic in helping him make the decision that MTBJ was the right place for him. Following the trend of a number of our other physicians, he has already taken on the volunteer job of team physician with the Mt. Pleasant High School football team. In this role, Dr. Shirley consults with the coaches and trainers whenever a player is hurt and conducts quick assessments of their condition to determine whether they can continue playing that evening. While in medical school in Memphis, Dr. Shirley volunteered with the local Soles for Souls program providing foot care to the homeless population. He also volunteered at the Grizzlies Academy providing free tutoring to underprivileged youths in the downtown area. He is looking forward to giving back even more to the Maury County community. The greatest change Dr. Shirley has seen in Orthopedics is how rapidly the technology and knowledge base expands. As the profession’s knowledge base and technology continue to improve, doctors are able to return people to function more efficiently, whether that means sports or everyday activity. Orthopedics continues to become more specialized each year. Professionally, Dr. Shirley is most proud of being elected chief resident at the Campbell Clinic by his peers. Personally, he is most proud of his beautiful and supportive wife, Randi, and his four wonderful kids. He describes his family as an amazing blessing. He has been married to Randi for 13 years, and they have four children. Their son, Parker, is a fifth grader at Columbia Academy. Their daughters are Reese, eight years old and a CA third grader, Ryan who is four years old, and Mayer who is three years old.